Your kitten not only depends on you for what’s in their bowl, but also for the quality of the ration that you put in the bowl. That’s a big responsibility. Owners need guidance to sort out the truth from the fiction and old wives tales. Additionally, with so many products on today’s market, is it any wonder that people are confused? The goal in correct kitten feeding is to provide the right food in the right amount so that your kitten will achieve the average growth. We don’t want them to grow too fast since this can produce health problems later on. Researchers have shown that overfeeding for maximal weight gain should definitely be avoided. In fact, slight underfeeding is preferable! 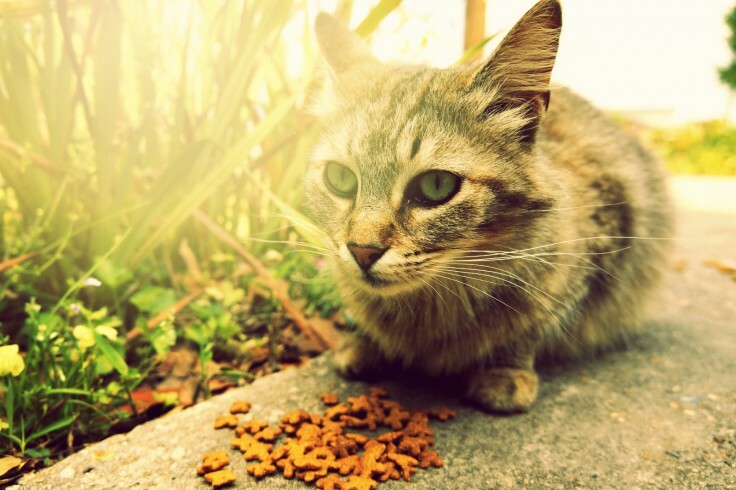 A kitten food must be just that – a food for kittens. An adult diet is not suitable for growing active kittens. An important point – once you have decided on a particular product feed it exclusively. Avoid supplementation with meat, table scraps, mineral and vitamin supplements or any other things because this could create a finicky eater, nutritional imbalances, dental problems or digestive upsets. Kittens should not be fed adult type foods, or the very inexpensive dry foods. In many instances, because of the low caloric density of these products, the kitten cannot consume sufficient quantities of digestible nutrients to satisfy optimal growth requirements. Kittens should be switched to an adult formula food between nine to twelve months.